The BSC Industries, Inc. sales team in CT approached a local industrial company to introduce BSC Industries and our range of electrical and automation products. During the course of discussions the sales person learned about the company’s control panel fabrication and work with a local waste water treatment plant. He also learned about their growing frustrations over local automobile traffic. Due to a large, lengthy construction project in the area, the company discovered getting to and from project sites was becoming painful. Often times, their maintenance calls required programming modifications to installed control panels. The adjustments could be made quickly, but the construction and traffic meant unnecessary time added to the travel and communication issues. The BSC Industries team presented a solution that would allow the company to integrate a remote monitoring process that would reliably share data between their facility and their control panels in the field in real time. 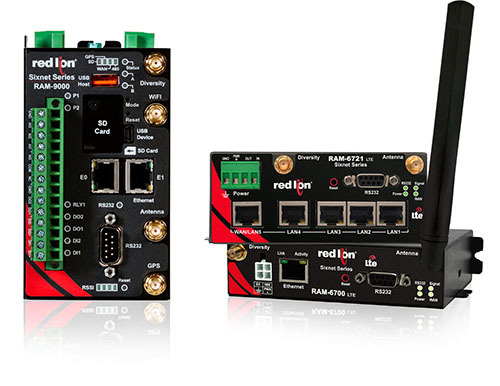 Using Red Lion’s Sixnet® series RAM industrial cellular RTUs, and a secure wireless connection provided by a local carrier, the system was set up to trigger I/O and send text messages based on real-time operational data, like service notifications and alarms, etc. Local control from anywhere meant less time (and money) spent traveling to field sites. BSC Industries provides products and services aimed at increasing your operational efficiency and reducing your time spent in traffic (well, as much as we can in New England). What frustrations do you have about your current process? Contact us about options for making it better.